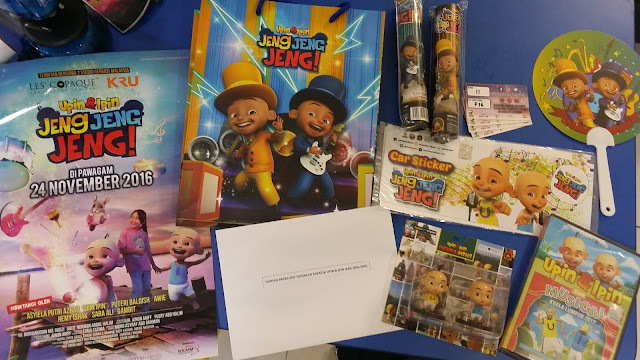 Home Event Upin Ipin Jeng Jeng Jeng at Cinema from 24th November 2016 this school holiday! 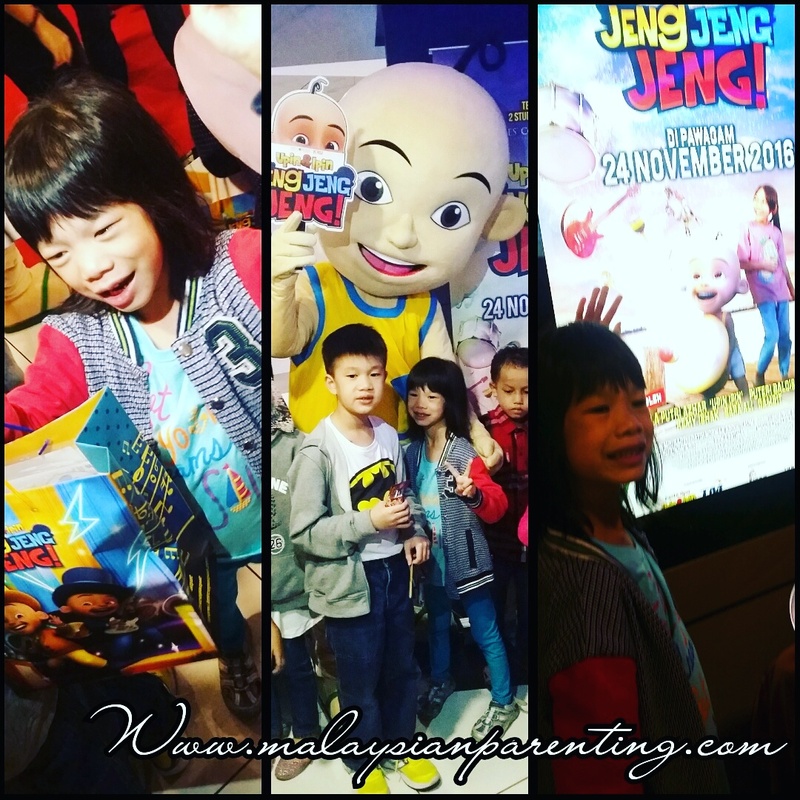 Upin Ipin Jeng Jeng Jeng at Cinema from 24th November 2016 this school holiday! Thanks Denaihati Network for the invitation to Blogger Movie Day Out held last night at GSC IOI City Mall, Putrajaya. I would recommend this as a family movie as upin ipin has always implant moral value to its storyline. Nice graphic and sound system at GSC IOI City Mall complements it all. Enjoyed it and weep 3 times. 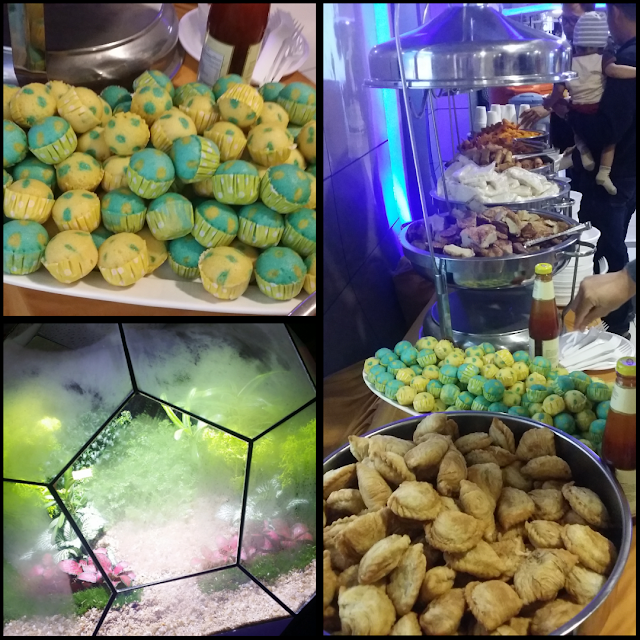 Not forgetting the setting up of refreshments and the appearance of 2 big Upin Ipin mascot makes the movie premier enjoyable by kids. I could tell April enjoyed the most. She love the dance movement of jeng jeng jeng. Super happy meeting the 2 mascots and super happy after getting a gift answering jeng jeng jeng to a QandA. Thanks to the sporting emcee of the day who makes this girl cheerful. The crew promoting their apps and the kids are doing the jeng jeng jeng dance video for Instagram. And yes, April love it the most again. Jaden has been looking to the surroundings. mostly are Malays and asked why? Well, dear boy, we are all Malaysians. Everyone can watch this movie, just that if you are well verse in Malay language you will understand the movie better. So it's good if you could brush up the language so that you can enjoy the movie better. 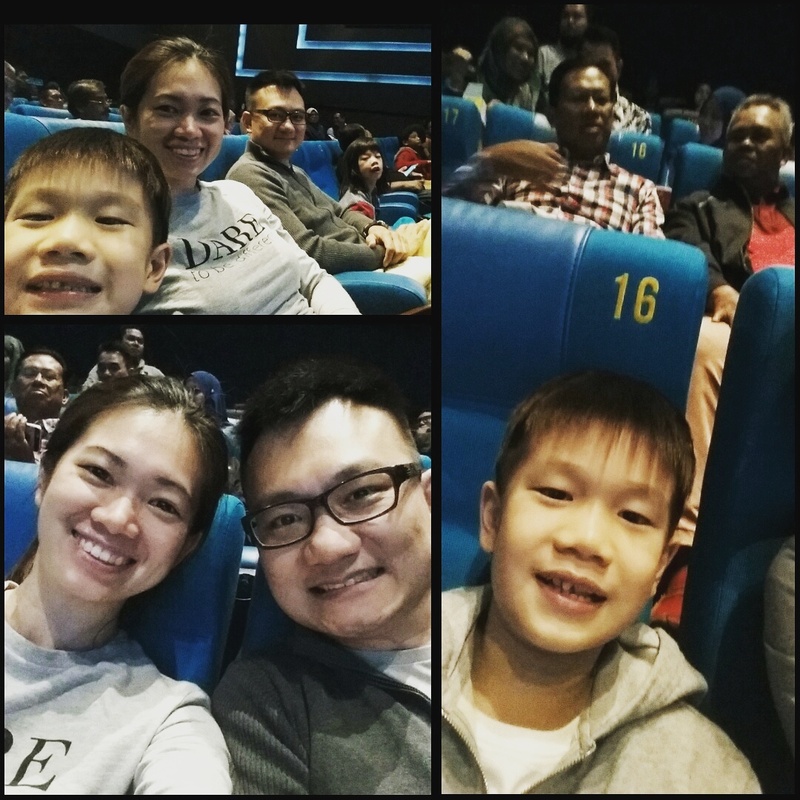 Kids verdict: April enjoy and pretty excited every time there is an appearance of Upin Ipin in the movie, For Jaden, an 8 years old, he like the movie, just that a bit long. What mummy says? Love the storyline, graphics and sound system. So guys, make a way to cinema as UpinIpin Jeng jeng Jeng is starring at all cinema from today. Never to miss a great local movie. Surprise! Surprise! They are going to launch the next Upin Ipin The Movie. Coming Soon and yes... can't wait. 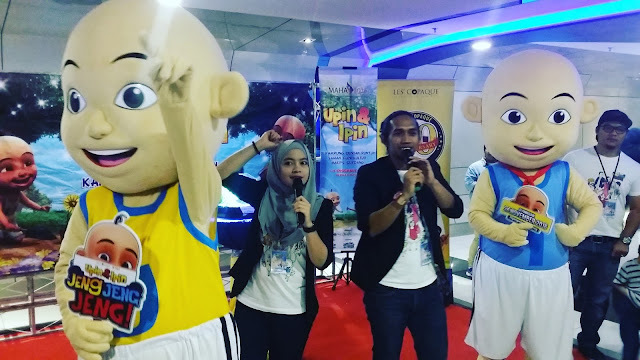 Meanwhile Les' Copaque is organizing a fanatic screenplay Upin Ipin Jeng Jeng Jeng at MAHA2016 Kampung Durian Runtuh. It's happening from 1 to 11 December 2016 at Laman Florakultur, MAEPS, Serdang, Selangor.